"THE FRIENDLY ARCTIC" - the title of a book by explorer and scholar Vilhjalmur Stefansson was meant to provoke the public into realizing that the Arctic regions are far from being the unlivable wastelands represented by popular belief. The island of Afognak as seen on a late summer evening from Spruce Island, (above) in the Kodiak Archipelago of South-Central Alaska contradicts the usual clichés. But once public opinion realizes how livable the Great North really is, will it remain protected from the excesses of development? The Arctic: A New Middle-East? Only six or seven years ago, few would have considered the Arctic as more than a marginal issue in global affairs. A scholar specializing in the Arctic proposing a paper at a mainstream conference on international relations would have seemed as irrelevant as a specialist of Jack London showing up uninvited at a conference devoted to Nabokov, Virginia Woolfe and Alain Robbe-Grillet and asking for the microphone. The idea that the Arctic Ocean could become the « Mediterranean » of the future, a wild idea proposed at the beginning of the century by Canadian geographer of Icelandic descent Vilhalmur Stefansson, even now still seems childish to most reasonable scholars. Polar bears and Eskimos living happily on the ice in igloos is a cliché hindering any serious political and scholarly debate over the Great North outside the strict boundaries of ethnology or environmental science. territorial dispute are beginning to reach public ears as never before. Public opinion and leaders worldwide are beginning to realized that they have passed a turning point when the Far North has become recognized for what it is, i.e. a new area of revolutionary geopolitical change affecting all international relations. U.S. Navy photos by Mass Communication Specialist 3rd Class Kenneth Abbate (upper left) and Mass Communication Specialist 3rd Class Josue L. Escobosa (upper right). « YES YOU CAN SEE RUSSIA FROM ALASKA! » . Sarah Palin (seen here in June 2009 aboard the aircraft carrier USS John C. Stennis with Air Boss Capt. Gordon Smith during a massive amphibious and aerial exercise off and on Alaska's coast), may have intentionally sounded excessive during her campaign in 2008 for the vic-presidencey. Yet, such a representation is based on a physical reality with geopolitical implications: when viewed on a globe with the North Pole at the center, the USA and Russia are as close to each other as France and England. THE 2007 RUSSIAN-CANADIAN EXPEDITION PLANTS A TRICOLOR TITANIUM FLAG ON THE NORTH POLE (left). Click on the image to watch Russia's news channel RT report on the legal and diplomatic consequences of the event. It is a concept difficult to accept: few would admit or even dare to consider the Arctic regions as yet another « Mediteranean » of the future. Yet, this is another area of rapid mutation and spectacular growth. Just as the China seas have become a nest of dragons and tigers, the North Pacific has become a new nest full of eagles’ eggs ready to hatch. "The Arctic is uninhabited not because it is uninhabitable, but because people do not live there." The wisecrack belongs to a geographer, one of Vilhjalmur Stephenson's rare supporters. What it means is that the problem of mastering the Arctic and sub-Arctic regions of the Pacific, and in particular the American North-West, has nothing to do with physical geography but political geography and the political will to develop the area. “If there is a will there is a way”. However, there have been political obstacles to further development in the Great North. To the hostility of the former Confederate States from where a campaign was lead against the purchase of Alaska, and to the Russian neglect of its Nordic and Pacific regions by those obsessed with control over the Caspian and the Balkans, we need to add new global opposition to further development in all the countries with territories in the Polar regions from the environmentalists. it was an encumbrance, to us it would be an embarrassment" editorialized The New York Tribune. The New York World was even more blunt: "Russia has sold us a sucked orange." Such hostile attitudes towards a shift of a powerful nation's geopolitical priorities away from traditional areas of interest, e.g. the Atlantic or the Mediterranean, is a legacy that may explain present misconceptions or indifference towards the geopolitical value of Arctic regions. 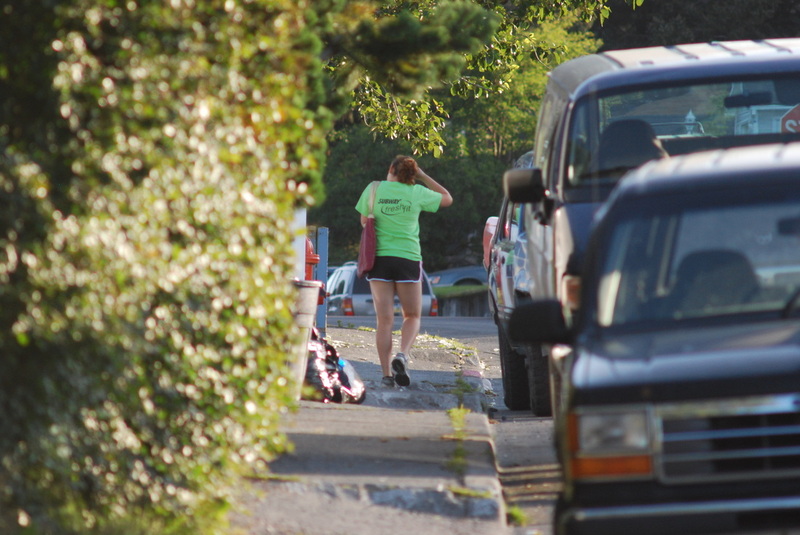 Alaskans live, has always enjoyed a temperate maritime climate comparable to Ireland’s or Scotland’s. Consider the map of the Pacific, not as it is usually presented in textbooks or tourist brochures, but as Vilhjamur Stephenson presented in his landmark series of war-time lectures on strategy in 1944. To ilustrate his representations, he published a map where the globe is turned in a way that Alaska is placed almost in the center, so that the Arctic Ocean and the Pacific are both visible. The first noticeable feature is the relatively small size of the Arctic Ocean. 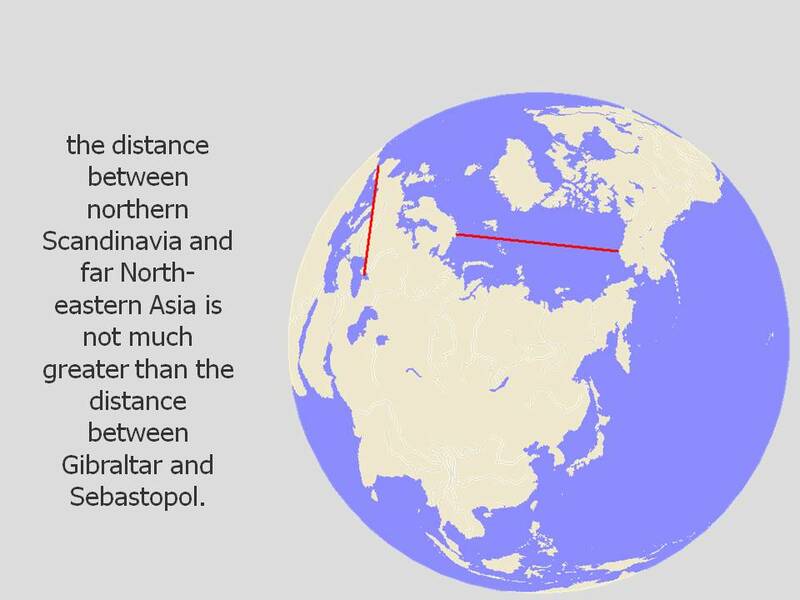 The distance between northern Scandinavia and far North eastern Asia is not much greater than the distance between Gibraltar and Sebastopol. The proximity of the United States and Russia is striking. From this perspective, the comparison with the Mediterranean becomes less far-fetched. You are allowed to use this image if it is attributed to Nature & Cultures with a link to this page. Moreover, it becomes clear that the coasts of Alaska, bridging the distance between Asia and the Americas, could play the same strategic role as the Turkish straits after the fall of political barriers (impenetrable communist borders) and technological barriers (recent advances in building and operating ice-breakers). 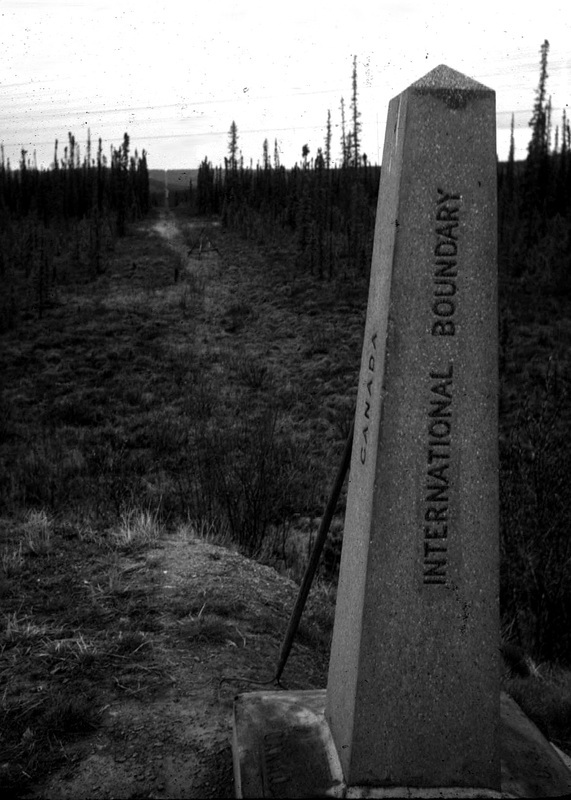 A 5 FOOT HIGH MARKER INDICATES THE BORDER BETWEEN TWO NATIONS IN THE ARCTIC (left). The photographer is facing South. The border between the State of Alaska (West - on the right of the picture) and Canada' Yukon territory (East - on the left of the picture) is defined by the 141st meridian West. It is represented physically by a line carved through the forest. Until 1867, this line marked the extreme limit of Russian possessions in Siberia and North America. It is only in 1903 that the United States, Canada and the United Kingdom finally settled an almost century-old dispute over this border and signed a treaty that defined the present border between Canada and Alaska, the former "Russian America". Even a superficial look at the Bering Strait reveals the proximity of Alaska’s Seward Peninsula and the Chukotka Peninsula. The gap between the continents is wider than the Bosphorus, but no more than the narrower parts of the English Channel. When the weather is particularly clear, it is sometimes possible to recognize the coastline on the other side. The distance between Chukotka and the Seward Peninsula is so short that we could almost speak of North eastern Siberia and North Western Alaska as a bridge across the Pacific that brings a continent together. In fact, in the 19th-century, there existed two important projects to connect the two continents. In the last years of Russian colonial rule in Alaska, an American expedition was sent there to set up a telegraph line allowing the Americas to communicate with Asia and Europe across the Bering Sea. 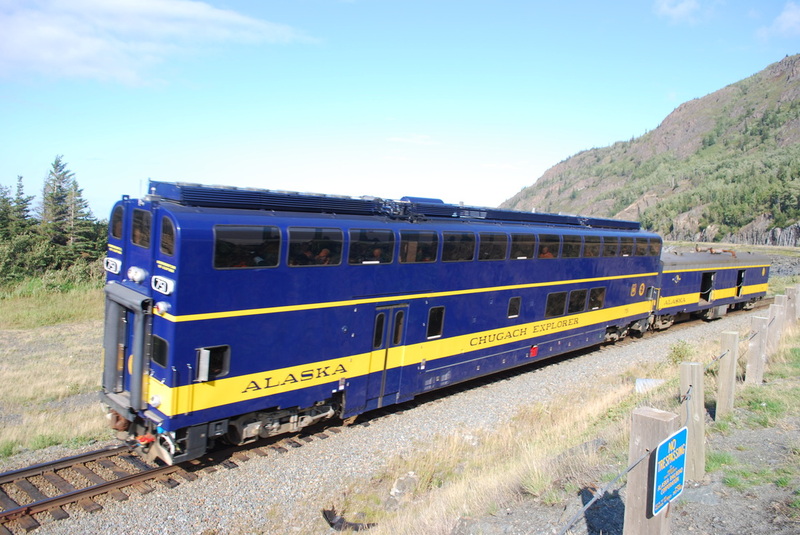 At the end of the century, research began on the feasibility of prolonging the Russian and North American railway networks so that they would communicate through a tunnel under the Bering Sea. The telegraph project failed only because competition was faster in establishing a transatlantic telegraph line, and the tunnel under the Bering Sea was forgotten because of the revolution. In the winter, however, thanks to the ice, the bridge is real and has been used by aboriginal people who were in contact with each other from prehistoric times, with a brief interruption from Stalin to Perestroika. Talks about the tunnel have resumed, and the obstacles are created by political forces (mainly the environmentalists) rather than by the terrain. In brief, the far northern geography of the Pacific is what makes Russia and the United States almost contiguous, or what makes neighbors of Asia and America. Further South, another bow seems to bridge the Far East and the Far West: the Alaska Peninsula and the Aleutian Archipelago—a long string of islands extending over 1000 miles across the Pacific. It is fascinating to note that the last American island, Attu, is only a few hours of sailing away from the first Russian islands, the Komandorskiye, themselves only a few hours away from the shores of Kamtchatka. Then, to the south of that peninsula, the Kurile islands create another string of havens between Russia and Japan. Local weather conditions represent a serious obstacle for air and marine transportation, not so much due to the cold but rather to the wind velocity which is extreme. However, from May to September these waters are safe for navigation and passage can be obtained, among others, on a weekly ferry boat. The late 1980s witnessed the inauguration of regular flights over this part of the Bering Sea, and were made famous by magazine articles or by Alexander Solzhenitsyn who chose this road for his highly publicized return to Russia. Geographic determinism is a very controversial approach to geopolitics. In the case of the North Pacific coast, it is very difficult, however, not to draw parallels between physical geography and cultural geography. The geographic proximity explains a certain cultural proximity of Asia and America in the far North Pacific. Prepared for years by the Smithsonian Institute, « Crossroads of continents » was the landmark exhibit, that brought this geographic and cultural proximity to public attention. The artifacts, documents and research papers brought together for the first time scores of data proving that the peoples of eastern Asia and far western America maintained cultural and economic ties from prehistoric times to this day (with the exception of the second half of the Soviet period). We are only beginning to fathom the incredibly complicated cultural and economic networks established across the Pacific by the so-called "primitive" people. For them, the North Pacific seemed to be much less an obstacle than for the first Europeans who sailed its seas. These networks were only reproduced under colonial rule—the adventure of Russian America being the most exemplary case. While that chapter of Pacific colonial history was still being written (1741-1867), large fleets of Yankee whalers, already announced since the 1840s, the United States’ ambitions to transform the Pacific into an « American lake ». Examples of cultural overlaps abound. On both sides of the North pacific, modern Aboriginal people and now non-natives alike prefer the same means of light marine transportation such as umiaks ; food storage techniques are the same as well as many other aspects of daily life ; American and the landscape is marked by hundreds of orthodox churches. 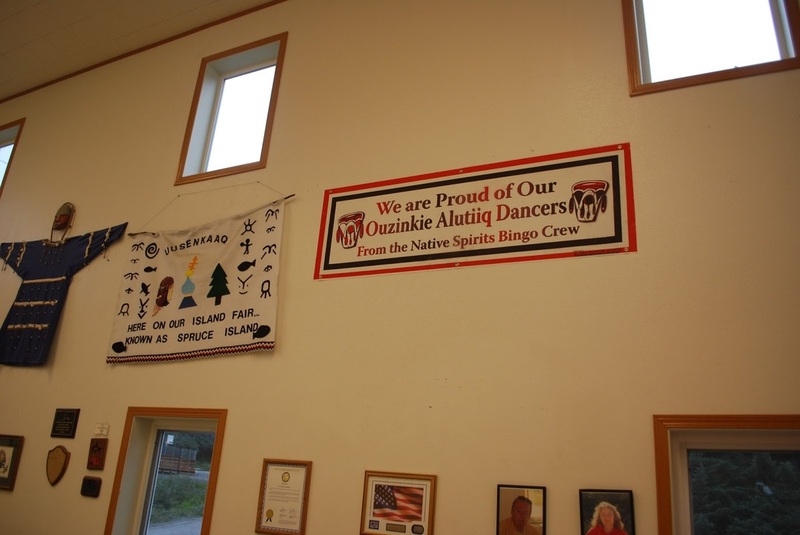 An amusing example is how thousands of English words penetrated indigenous Siberian languages while approximatively 4,000 Russian words in every of the four Alaskan languages which leaves a trace even in modern English Alaskan jargon . 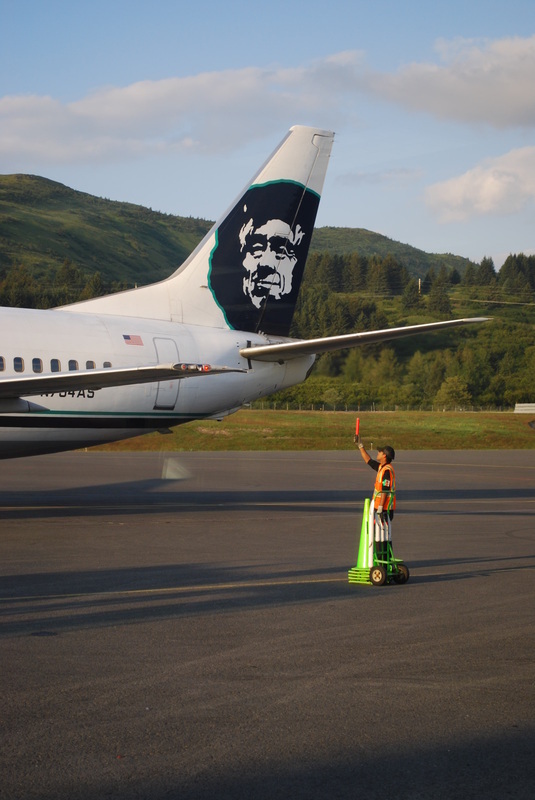 Today, the Anchorage International airport—comparable in size to any Gatwick, Orly or La Guardia—is only one illustration of the spectacular growth and complexity of transpacific-transarctic communications. Debates over natural resources, border claims, and global climate change have firmly established a new representation of the Polar regions: they are an important part of the globe interacting with all other parts of the planet. This awareness of a new dimension of globalization should then lead us far beyond climatic and ecological issues. When asked by N&C staff to comment on the importance of the Polar regions during a visit a few years ago at The American University of Paris, this is what Nicholas Burns, Deputy Secretary of State of the United States, had to say: "As the ice has receded in the Arctic, we see that more and more countries are interested in mineral exploitation and that more and more countries, like Russia (…) are now asserting territorial claims or economic claims to parts of the Arctic…"
Deputy Secretary of State Burns then stressed the value of the US-Canadian alliance. Also, he underlined the importance of an IGO, the Arctic Council, and how it could and should play the role of moderator in a geopolitical arena where a new and serious rivalry is growing. Could this rivalry become a new cold war? Several important remarks must be made so that public opinion could finally get rid of the naive images of the Great North and understand why scholarship will be moving North. Granted, the Arctic is truly an extreme environment. The winter temperatures can be as low as minus 50 degrees Celsius and descend even further, the wind velocity which increases the cold, plus the aggression of snow flakes lashing the skin in a blizzard and preventing any visibility, the absence of daylight from early in the afternoon to late in the morning, plus numerous other risks and discomforts explain why the Far North has never been a particularly attractive environment, except for handfuls of tourists or highly paid skilled labourers counting the days until they could return back South. There, the high seas or the coastal waters are among the deadliest in the world. This, however, must immediately be balanced by a second remark. No one would call infantile geographers, social scientists or other researchers interested in the Sahara desert and the regions that lie around it just because the Sahara is an uninhabitable wasteland with only camels and Bedouins. So there is no reason to continue to ask why would we be interested in “a place where only Eskimos and polar bears could live”? Other environments can be just as extreme as the Arctic regions, and yet, they are not dismissed as “wastelands”, or as marginal or unimportant. The high seas are seen as essential to the world's economy and in international affairs despite its grave dangers. The climate of high altitude mountains resemble Arctic environments. The developers there are taken seriously and many families who would refuse an exceptionally high salary for moving to Arctic towns like Salla or Hammerfest, pay a fortune to build residences in Aspen, Colorado or at the foot of Switzerland’s Eiger where summers can be as cold as winter in Anchorage, Alaska. All is a question of point of view. DRESSED FOR THE RIVIERA MORE THAN FOR THE ICY WILDERNESS, tourists enjoy summer in the Prince William Sound area, near Portage Lake, Alaska (above). This is another image that contradicts the clichés that had once caricatured the Great North as a barren unlivable land. The Arctic regions must be compared not to Antarctica (indeed barren and isolated), but to mountainous regions, home to the ski resorts of the Alps, the Balkans or the Rocky Mountains. A third remark: the land around the Arctic Ocean is not Antarctica. There exists, according to Stefansson’s remark, a “Friendly Arctic”. Just like in the high altitudes in temperate regions, snow may indeed fall year-round, but summers are also hot. The coast of the Arctic Ocean is not all white, like Northern Greenland. 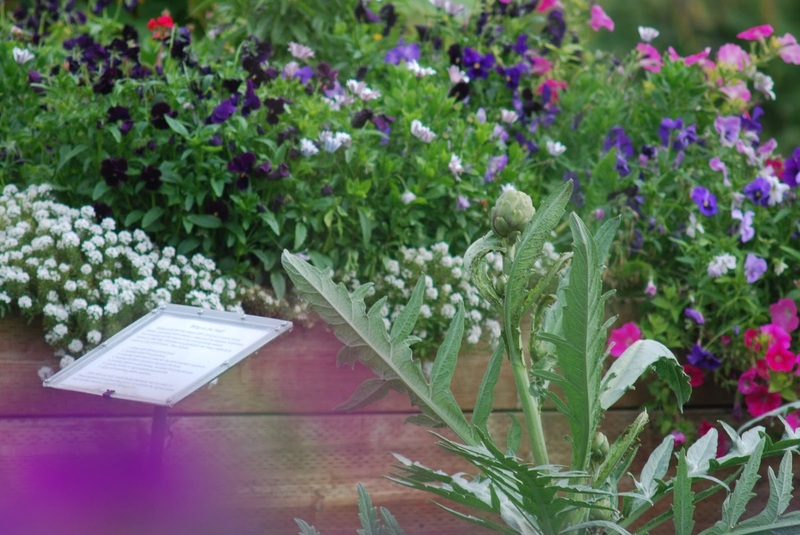 Large areas of the Polar regions regularly becomes a lush green environment with a rich fauna and the rich flora. Even the hardships of the winters are compensated by advantages that explain why people fall in love with the Arctic and eventually move there to stay for ever (2 million in all). There is nothing that can compare with the fresh air of the Far North. The air is even cleaner than in the Alps or the Rocky mountains because the Arctic is even much further away from the big cities and their pollution. Moreover, oxygen is more abundant since the Arctic regions are often low-altitude territories. Although much has been written about “cabin fever”, lack of daylight or alcoholism, the silence of the winter (with all sounds muffled by the thick layer of snow) combined with the stimulating effects of the air and the ritual of the sauna can also be, for some individuals, one of the best therapies against insomnia or depression. The explosion of hundreds of nuances of red, violet and gold in the rare hours of daylight—a dawn that turns into dusk—compensates for the long hours of darkness. And then comes the spring and the never ending daylight that may cause insomnia to a few, but which also reminds you of your early childhood when you went to bed before nightfall and were up after sunrise. The richness of the natural environment also provided the vitamin-loaded berries, herbs, fish and marine mammal products and other highly beneficial nutrients that gave the Nordic indigenous people a life expectancy much higher than than anything that Europeans could hope for before the 20th century. William Laughlin who had studied ancient human remains in the Arctic regions, particularly Alaska, where we met and discussed the matter for the first time in 1982, had discovered that in times when Europeans were struggling to raise their life expectancy from their thirties to their fifties, the life expectancy of some indigenous Artctic populations was as high as 70. MODERN COMMUNICATIONS ADAPTATING TO AN EXTREME ENVIRONMENT MADE THAT ENVIRONMENT LESS EXTREME . Finnair (watch the video - below), which today is one of the world's major trans-Arctic transporters for domestic flights, Air Canada, Alaska Airlines, Russia's Aeroflot, or many other airlines serving the Polar or Sub-Polar regions like Aerolinas Argentina (flying to the Far South) and even France's airlines (made famous by Saint Exupéry's poetic "Night Flight") developed their know-how during the earliest stages of aviation history in the rugged conditions of the World's coldest regions. Icebreakers, trains Alaskan railroad system (left, top) - or like the one taking passengers from the suburbs of St. Petersburg to Northern Karelia (left, bottom) , new textiles, architectural engineering, or special agricultural practices (below - under the video) have allowed the Arctic regions to become perfectly livable in modern conditions of comfort. This explains why many ancestors of Native Americans settled there instead of moving further South. Adaptation to the difficulties developed a culture and specific technologies that pushed the limits of human skillfulness and imagination beyond what is still believed to be possible. Isn’t the kayak a sum of technology comparable to the greatest achievements in aerospace manufacturing? Recently, the novel and the film "Smilla’s sense of snow” have popularized the complex representations of physical geography by the indigenous people of the Far North. Geographer Yves Lacoste (writing about other indigenous populations) called this “le savoir-penser-l’espace” or the ability to master “mental maps” of space. This opens a gigantic door in the post-modern debate over the representation of space and this is proof, once again, that the Arctic is not a separate, marginal chapter in global affairs: the 100, 000Nordic tribal people like many traditional societies, detain a form of knowledge that is different than dominant Western models (or the alternative representations that are opposed to them) but also crucial for humans to adapt to local conditions. This in turn raises two political issues: the cultural survival of these 100, 000 people and their human rights (particularly their cultural rights). But these questions are also inseperable from the debate over the rights of the 300 million indigenous people in the world and cultural diversity in general. The debate over cultural preservation and diversity also links to the issue of biodiversity. Both questions are intimately linked in the Arctic since the human inhabitants of the North are the most privileged observers of ecological patterns in the field (animal behaviour, plant growth, climate variations, etc.). populations may prove vital in a world where development could make the Arctic as important as the Middle-East. But let us not forget about the other 2 million people living beyond the Arctic Circle. They are descendants of early settlers in Northern Europe (traders, fishermen, trappers, missionaries…) or those recently arrived, after World War II, to service the new industrial development (fisheries, mining, forestry…) or the tourist industry.They no longer live as Polar adventurers. Again, this is not Antarctica. There exist cities of a certain importance beyond the Arctic Circle like Murmansk, Vorkuta, Hammerfest, Tromsø, Bodø and scores of small villages. Some cities can be abominably ugly, just like the housing projects of rough industrial suburbs (typical of Greenland or the ex-USSR), but others can be charming. At the heart of the winter, small towns in the Polar regions of Lappland, Canada and even Greenland can be as comfortable and pleasant to look at as an Austrian village or a Rocky Mountain resort. 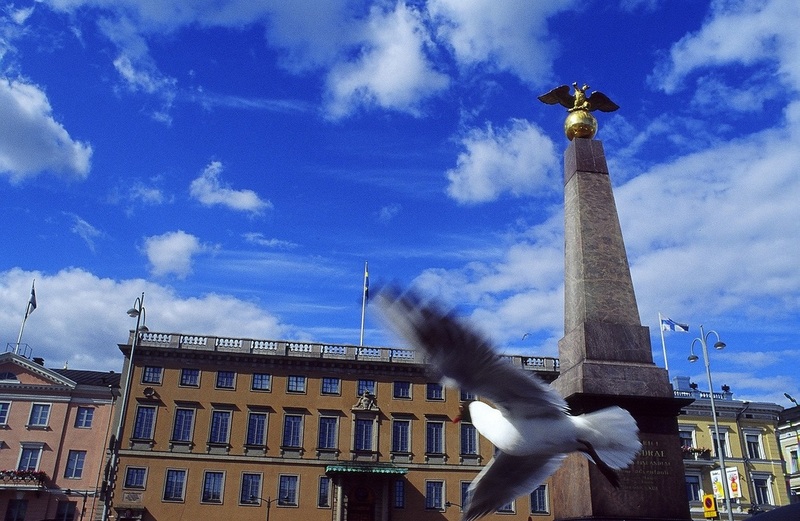 HELSINKI, THE CENTER OF WHICH IS MARKET SQUARE, THE CENTER OF FINLAND'S GOVERNMENT (below) is, like Reykjavik or the Northern suburbs of Oslo or Saint Petersburg or Stockholm, located slightly further North than Nanortalik, Greenland. All these cities, are far more Nordic than Bethel, Alaska or any of the Aleutian islands. Gateways to the Arctic they should be seen as part of the geography of the Great North. Even regions like Washington state, Hokkaido Island or Northern Scotland are closely linked to the economic life of the Arctic regions. Fourth Remark: the Arctic cannot be isolated from the history, geography and economies of territories further South. Just as it is impossible to separate the geopolitics of the Sahara from the geopolitics of Algiers, Cairo or Tripoli, just as the life of the Amazon is inseparable from the economies of Belém or Cayenne, the Polar regions are the economic backyard of large cities, each with populations reaching half a million, located less than 10° south of the Arctic Circle: Oslo, Helsinki, Vladivostok, Anchorage, Reykjavik, and even Seattle or Northern Scotland and Japan. Their populations are dependant on the fisheries, shipbuilding and other marine industries, tourism, natural resources and other activities geared towards the Polar regions. This is why under the terms of “the Arctic” specialists in geopolitics often represent territories below the Arctic Circle. People living in Iceland (a member of the Arctic Council) perceive themselves as inhabitants of the Arctic regions as well as Alaskans living in Anchorage, Kodiak or the Aleutians, for the climatic challenges, the mentalities and the economic activities, in addition to local politics are usually inseperable form what defines the “Polar regions”. Again a question of geopolitical representation and post-modern theory. So why is has the Great North (i.e the Arctic and the sub-Arctic regions) remained so marginal in the textbooks? The first caricatures of the Great North served a political purpose. They originated during the vicious campaigns waged by U.S. Congressman and certain newspapers against the 1867 purchase of Alaska, the real targets being Secretary of State Seward and the administration of Presidents Abraham Lincoln succeeded by Andrew Johnson. The campaign was only part of the latter's impeachment process and scores settled by recently defeated former Confederate politicians. On a larger geopolitical plane, this affair revealed a deeper and long-lasting opposition between northern states with economic interests in the North Atlantic and the North Pacific and former Confederate states, with a quasi-tropical environment, traditionally focused on the Gulf of Mexico and the mid-Atlantic. As late as the 1950s, this also made Alaskan and Hawaiian statehood a very difficult battle for the partisans of a 49th and 50th State. In Europe, even in Russia (especially after its defeat by Japan in 1905 in the North Atlantic and loss of territory in Siberia), Mediterranean affairs such as the intense struggles in the Balkans or the Middle East kidnapped all public attention. 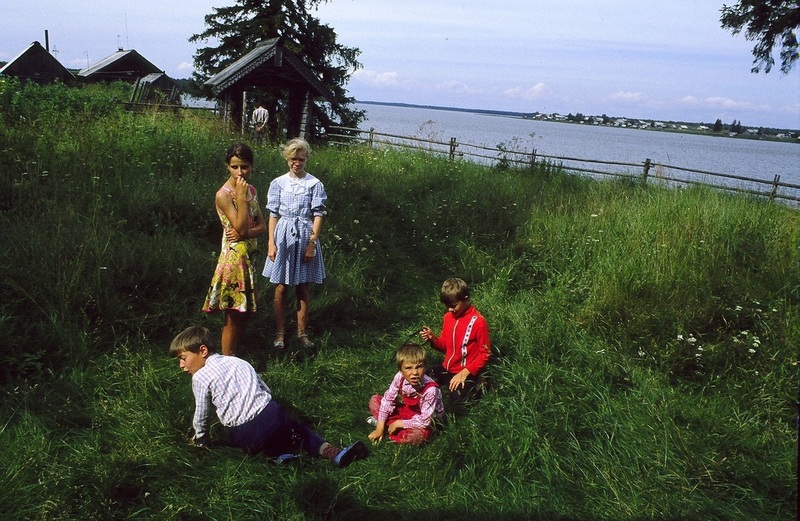 KARELIAN CHILDREN REST IN THE SUNSHINE NEAR MAN'GA (below) after a series of religious celebrations in August, 1993: the grand re-opening of an Orthodox church shut down by authorities since the 1930s. I took a risk by taking this picture , since I had no visa allowing me to visit this area, an archipelago of villages isolated by forests and lakes, in the region of Lake Onega, Karelia. It was still officially a "closed" area, i.e. forbidden to foreigners and sometimes even to non-residents. The Nordic regions were often seen as too strategic to allow entrance to anyone but locals. The numerous penal colonies and traces of environmental destruction were also to be kept out of sight. Other motives explain why there is still very little public awareness of the importance of northern regions. Too much awareness of such a highly strategic region may not have been desirable. In the Soviet Union, Nordic development has been a traditional feature of headline news and scholarship. However, the official data was often doctored in a way that the general public could not fully understand the reality of Arctic geopolitics. Neither Soviet citizens, nor outsiders of course, knew all the facts about essential achievements of the USSR in its conquest of the North, particularly the role of the military. The great failures (such as environmental damage or the hardships of the indigenous populations) received even less attention. Secrecy was such that entire regions like Kamchatka were strictly forbidden even to Soviet visitors. In the West, the situation was slightly different. While Alaska, northern Canada, Greenland and northern Scandinavia invoke anthropology or tourism, there was, until very recently, great discretion about the work of economists, political scientists and strategists researching the region. The reason might be the same as in the Soviet Union: the public may have been kept informed on a need-to-know basis given the highly strategic value of these regions. This would explain how crucial episodes of 20th century military history, involving the Arctic regions, never amounted to any serious consideration of the entire Arctic region as a geostrategic area as important as the Middle East or the South Pacific. The Russo-Japanese war of 1904 and 1905 was in part a conflict over the control of sub-Arctic territories. Before the war was declared, Japanese troops trained for warfare in Arctic conditions in the northern most Japanese territory, Hokkaido Island. Its winter climate, comparable to Siberia, explains Japanese awareness of the importance of Arctic geopolitics to this day. After the war, Japan annexed half of Sakhalin Island off the coast of Siberia. Admiral Makarov, who was killed in action while commanding the Russian of the Pacific, had just become one of the world's specialists in icebreaking technology and Polar strategy. FROM STRATFOR: Analyst Peter Zeihan examines the technologies, geographic realities and economics of developing the Arctic's natural resources for the region's players. Caution is necessary since STRATFOR is a private intelligence service. American or British seaports bypassed the dangerous waters patrolled by U-boats and the Luftwaffe by passing through the Arctic Ocean. France’s infantry had fought gloriously in Norway and her anti-collaborationist pilots flew missions in far northern Russia. Both France and United Kingdom had been important actors in Arctic geopolitics ever since the 18th-century, when Cook and La Pérouse explored the polar regions starting a French and British tradition that would continue into the 19th-century with Dumont d’Urville and Franklin, in the early 20th with Scott, Shackleton and Charcot and in the mid 20th with the expeditions organized by the Scott Polar Research Institute or Paul-Emile Victor’s French Polar Expeditions. Both nations preserved tidbits other former empires in subarctic regions (the Falklands, southern Georgia for the UK, Saint-Pierre et Miquelon and the islands near the Arctic for France). They also remain among the nations that claim very large portions of the Antarctic continent. Just as the existence of the population living on Hokkaido explains Japanese concerns for Arctic affairs, the fact that British, Irish and French (or Basque and Breton) sailors fished or hunted whales for centuries in Arctic waters explain that Arctic affairs are not considered as marginal in these countries. One must also keep in mind that part of the French and British homeland belongs to a natural environment that can qualify as extreme. Northern Scotland is not very far from the Arctic Circle, and the high altitudes of French mountains (also the exceptionally cold winters of the Jura, homeland of Paul-Emile Victor) produced a large population of sportsmen used to extreme weather conditions similar to Antarctica. This is why, contrary to other European countries or even the United States, extreme environments consistently remained an important issue in French and British decision-making circles and public opinion. The Nordic experiences of World War II revealed the strategic value of the Arctic on a much larger scale. 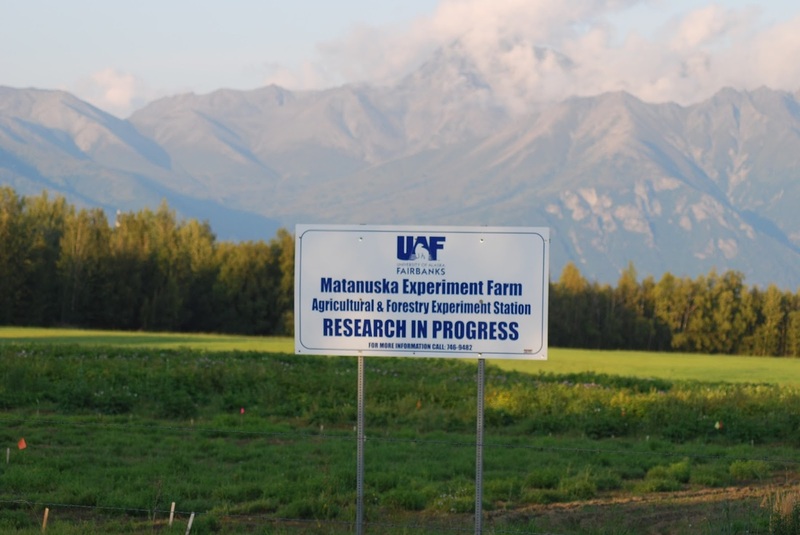 What we are only beginning to understand with the public relations stunts of the Russian scientists in August 2007, the higher ranks of strategists and geopolitical decision makers clearly understood in 1945, i.e. that globalization leaves no place on earth that is not intertwined with all other parts of the planet. This means that the Polar regions must also be taken into account in international relations as well as the Mediterranean, the Indian Ocean or Central America. A strong proponent of the representation of the Arctic regions as a future Mediterranean was the visionary Canadian geographer of Icelandic descent Viljamur Stefansson, mentioned here several times. As World War II was coming to an end, Stefansson convinced many decision makers in Washington and Ottowa to look at the map in a new way. What a great strategist like Spykeman understood then, and what the general public was not allowed to fully perceive than but is beginning to understand today as the ice is receding, is that it is not only crude oil and other raw materials that makes the Arctic as important as the Middle Eastern. Observe how relatively small is the Arctic Ocean and how close are the extremeties of Asia, Europe and America. The distance between Norway and Alaska is roughly the same as between Spain and Turkey. Climate change is now invoked to underline the importance of the Arctic. But change already started a long time before we started feeling the effects of global warming. Technological adaptations are the backbone of Arctic history and anthropology: in addition to the talents of indigenous people mentioned earlier, Gore-Tex, Arctic architecture, constantly improved navigational techniques and rapidly evolving technologies in maritime construction (particularly icebreakers) and aviation are the real motors of Arctic development global warming or no global warming. 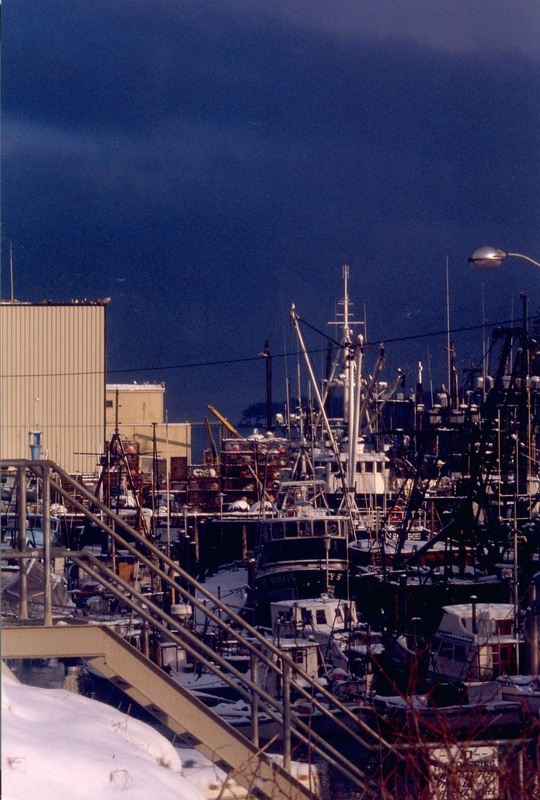 KODIAK, ALASKA, ONE OF THE TOP FISHING HARBORS IN THE UNITED STATES (left) regularly ranking Number 3 for "landing volume", (i.e. the amount of fish brought to port) with its rich maritime food production testifies to the importance of natural resources other than oil and gas. This richness also explains the exceptionally long life expectancy of the original inhabitants of Alaska - up to 70 years of age in times when Europeans could expect to live no longer than 40 (this was before contact with Europeans brought unknown diseases, however). the Arctic as a bargaining chip in international relations or will it choose confrontation? Will the United States finally choose to ratify the United Nations Convention on the Law of the Sea that guarantees limited sovereignty of each nation for 200 miles beyond its coastline and leave the North Pole as part of the “global commons”. Or will the “sector theory” prevail cutting up the entire Arctic Ocean as a pie between the USA, Canada, Denmark, Norway and Russia? Whatever happens in that Ocean and on those coasts will set a precedent for all international maritme law to come? And those are only the first questions to ask. More questions will have to be raised: what if Greenland became independent? How would the indigenous people be used as pawns in this new great game or how could they become more powerful actors using human rights legislation and international treaties? What role would play the defenders of the environment? Would one country help these environmentalists slow down the projects of another country whose policies would appear as dangerous to the ecology? The lsit of questions is endless. Already, in the James Bay (the Southern part of Hudson Bay) opposing interests have entangled local Inuits, other Native American groups, non-Natives, French-speaking politicians, English-speaking politicians, the government of Quebec, the federal government of Ottowa and local and federal interests in the United States all competing for the hydro-electric resources of the region or fighting for the preservation of the natural habitat. It is only a small preview of the complications that we should expect in the Arctic. But the development of the Arctic could also include sustainable development, and this is where we fully realize the importance of indigenous people since they could play an essential role. 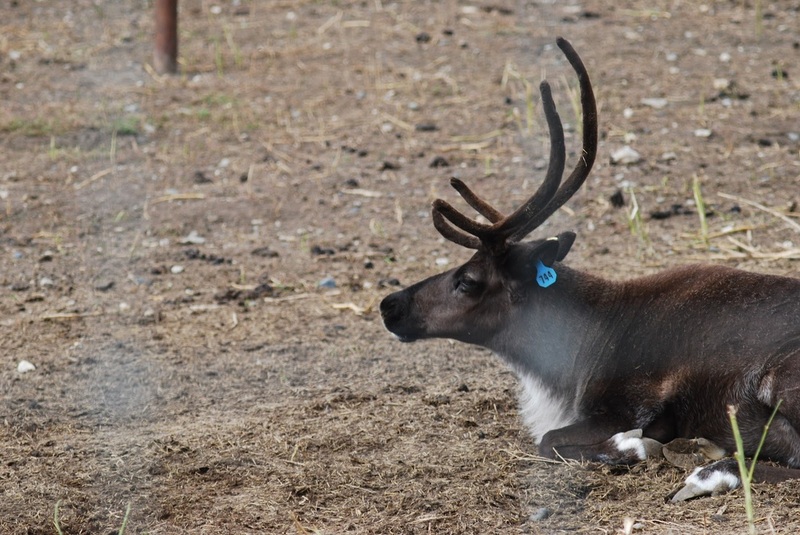 Reindeer farming is a skill that the Nenets have learned only recently in history and that Alaskan Natives mastered no more than four or five generations ago. When Russian authorities forced an Aleut population to live on the uninhabited Pribiloff islands in the Bering Sea, they rapidly developed methods in selecting the “bachelor” males for a harvest that produces large quantities of fur and meat while preserving the fur seal population. SAAMI (LAPPLANDER) CAMP IN SALAA, FINLAND (above) next to the Russian border. The development of the Arctic could also include sustainable development, and this is where we fully realize the importance of indigenous people since they could play an essential role. Or will they be used in a more strategic and military role as seems to suggest certain measures recently taken by the Canadian government? In any case, we must not let them become the Palestinians in this new Mediterranean, for fear of political turmoil of a new kind, and especially because the Arctic would lose its identity and skills and representations that non-indigenous people still need to understand and learn. Whatever the causes, climate change or technological evolution, change is inevitable and dramatic. It will affect the entire planet. Now is the time. Not only could we learn about “the Last Frontier” on the planet. A brief glance at Arctic affairs, as presented on these pages already shows the exceptional range of disciplines already involved: environmental science and environmental politics, physical and human geography, international law, human rights, anthropology, history, Canadian, US, Russian, Finnish and Scandinavian studies, international organizations (the Arctic Council, the EU, APEC), maritime trade and communications, international relations, political economy and business, plus many more. Studying this emerging region is an exceptional opportunity for interdisciplinary scholarship. And more than crude oil or new commercial routes, this could yet be one of the greatest prizes to be discovered in the Arctic. At least for scholars. 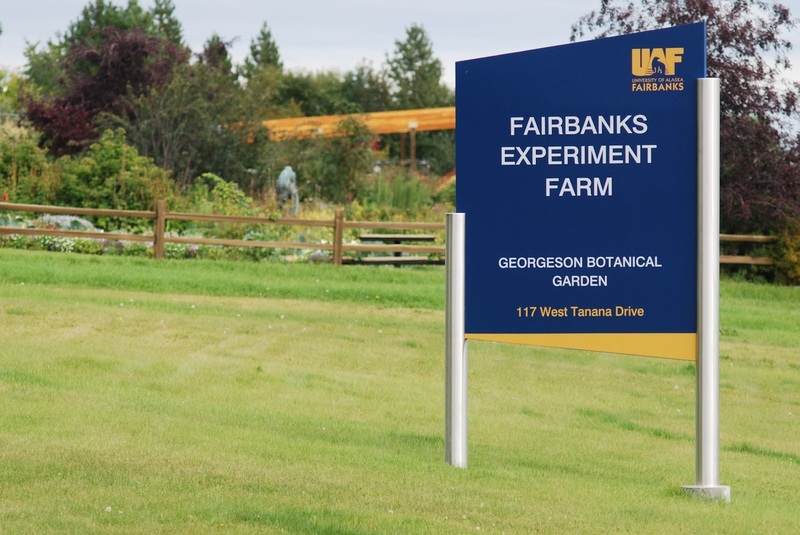 Below: the University of Alaska conducts vanguard experiments in Arctic farming. Such initiatives hold great hope for sustainable development beneficial for the region and for the world. The first were two were held in 1882-1883 and 1932-1933 ; an International Geophysical Year took place in 1957-58. Almost exactly the opening remarks of the host of a televised debate in which I participated in August 2007 with polar explorers Joëlle Robert-Lamblin and Jean-Louis Etienne. Mondes, Vol. 20, N° 1, pp. 5-20. Or “Miss Smilla's Feeling for Snow” (Frøken Smillas fornemmelse for sne) by Peter Høeg. Yves Lacoste, Paysages Politiques, Paris : Hachette, 1990.
not put in danger the species. The Arctic Portal was established originally in 2006 as an International Polar Year-project operating in cooperation with the Arctic Council. It is now a comprehensive gateway to Arctic information and data with cooperating partners ranging from international organisations and research centers to international projects, indigenous peoples associations and other Arctic Stakeholders. is the common publication platform of the Nordic Council of Ministers – the official inter-governmental body of the Nordic countries. is the Russian television news channel broadcasting 24/7 in English. Caution is necessary since RT is essentially the voice of the government. Is the "Bible" for anyone researching the contemporary Arctic.This is the 2015 version volume II. Volume I was published in 2004. It was the first comprehensive assessment of human geography covering the entire Circumpolar region. Mandated under the Arctic Council’s 2002 Ministerial Declaration as a “priority project” designed to provide a “comprehensive knowledge base” for the work of the Council’s Sustainable Development Program, the first AHDR was a centerpiece of the Icelandic Chairmanship of the Arctic Council during 2002-2004. You can download the chapters (for free) one by one on one of the pages of the pages of the Stefansson Arctic Institute. Chaturvedi, Sanjay, Dawning of Antarctica: A Geopolitical Analysis, Center for the Study of Geopolitics, New Delhi, 1990. The book has been reviewed in Polar Record (Cambridge University Press) 26(159), October 1990. One of the most useful online resources in the field is ArcticStat Circumpolar Datrabase. A permanent, public and independent statistical database dealing with the countries, regions and populations of the Circumpolar Arctic, ArcticStat was created by the Canada Research Chair on Comparative Aboriginal Condition of Université Laval. It is officially supported by the Arctic Council and it is an official activity of the International Polar Year. Most of the national statistical agencies, the list of which being provided in the links page, has agreed to cooperate with ArcticStat. The armed forces of Canada provide to the public a very rich online international bibliography on Arctic geopolitics simply called Arctic Security and Defense. Many of the hyperlinks allow direct access to the electronic versions of the titles and to very informative websites. - The Arctic Council. This is an important IGO that includes governments of all countries with territories beyond the Arctic Circle. - AMAP – the Arctic Monitoring and Assessment Programme is an IGO working for the Arctic Council. Its primary function “is to advise the governments of the eight Arctic countries (…) on matters relating to threats to the Arctic region from pollution, and associated issues. - Le Cercle Polaire (the Polar Circle) is a French think tank including numerous international professionals in the field. Former Prime Ministers of (respectively) France and New Zealand Michel Rocard and Robert Hawke are the honorary presidents. The think tank offers a very rich website for researchers and for the general public in English and French. - The Cluster Polaire Français is a think tank, a recent creation of an interdisciplinary association of young French professionals specializing in the field an seeking to modernize it. The Cluster Polaire Français is an emanation of Polarisk (see below). - Polarisk is a think tank and risk analysis intelligence unit specializing in Arctic research created by a group of exceptionally dynamic and very young scholars, analysts, technicians, entrepreneurs, journalists and other professionals and enthusiasts. - The SciencePoles website provides in its own words "an overview of polar science and research findings as well as recent and forthcoming developments across a range of scientific disciplines. 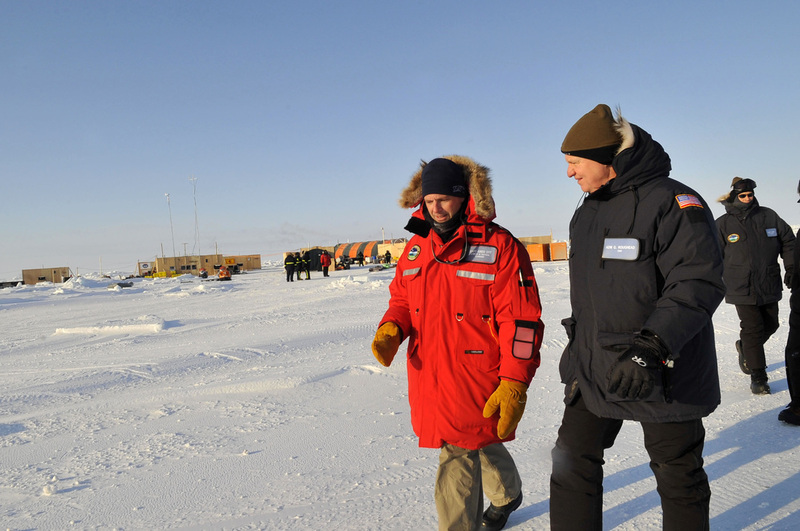 It is a key tool for the International Polar Foundation in aiming to bridge the science-society divide." Do not hesitate to use Educapoles, the same Polar Foundation’s website for school children (given the novelty of the field and lack of publications, first hand information and insights can be found even in a database such as this. - A very complete list of organizations involved in Polar (mostly Antarctic) research can be found at a special page of the The Antarctic Circle. Browse on all these sites to find links to even more sites and databases. P. Whitney Lackenbauer and Matthew Farish, “the Cold War on Canadian Soil”: Militarizing a Northern Environment”, Environmenbtal History, Vol. 12, No. 4, October 2007, pp. 920-950. - Oqaasileriffik - the Greenland Language Secretariat, is an independent Greenlandic institution under the Ministry of Culture, Education, Research and Church. - Watch Campus TV, a local university TV station in Lapland (in Finnish! But some materials are occasionally broadcast in English, also, watching even without understanding the details can yield interesting information on life in the Arctic and is an excellent experience in cultural immersion). Numerous links in English to information on local affairs. - The Institute of the North, founded by former Alaska Governor and U.S. Secretary of Interior Walter J. Hickel, this Alaskan think tank provides a viewpoint on the politics of the 49th State that is uniquely wide-ranging and not limited to small local affairs; its rare accomplishment is to replace Alaskan politics in the greater picture of development theory, international trade and geopolitics. - The Antarctic Circle is a non-commercial forum and resource on historical, literary, bibliographical, artistic and cultural aspects of Antarctica and the South Polar regions. Also in this Issue 1, N&C's reporters take you to sea to face the extreme dangers of modern piracy, to the zoos of the world targeted by political controversy, to the home of the Ladins (not Latins) -- a lost culture in a hidden valley of Europe. Don't miss the visual poem on Africa, the debate about overpopulation, our book review and the N&C e-library, a portal to numerous resources on nature and human geography.